Sometimes it is really difficult to find the positive side of a challenge confronting us. When dealing with adversity - a career setback, the ending of a long-time relationship or the illness of a child - it’s hard to believe there is a sunny side or a silver lining to this experience. But history is full of people who found possibilities through adversity. Reflecting on their achievements can remind us to look for opportunities. If a young Spanish soccer star had not been injured seriously in a car accident and spent months recuperating in the hospital, he likely would not have discovered his musical side. The world might have missed the beautiful voice of Julio Iglesias. McDonalds and the “golden arches” would not exist today if Ray Kroc had succeeded in his first several ventures. Instead, they ended in bankruptcy prior to his opportune meeting the McDonald brothers and purchasing a little hamburger stand to later become the world’s preeminent fast food franchise. It’s the tough to take, but sometimes we are taught lessons that will benefit us. Allow yourself to be open to what life is teaching you and apply it later when the opportunity presents itself. Many challenges were not insurmountable to begin with, they only needed a little creativity or fortitude and a gentle nudge from the creative side in you. Allowing yourself to have positive and affirming outlook sometimes seems contrary to what is expected of us today. We are taught to belittle ourselves to seem normal lest we seem too full of ourselves. Modesty gets in the way and we are expected to play down our strengths and play up our weaknesses to help us fit in. Maintain the attitude and mindset of a creative problem solver. Learn to develop opportunity awareness. Think about possible benefits and opportunities hidden even in adversity or hardship. Learn to visualize any negative situation as an opportunity for metamorphosis like a caterpillar changing into a butterfly. Sometimes creativity calls for looking at a combination of things that you had not thought of previously. With the help of inspirational quotes from people like McDonald, Disney and MacGyver, allow yourself to find opportunity awareness even in the midst of challenges or tragedy. 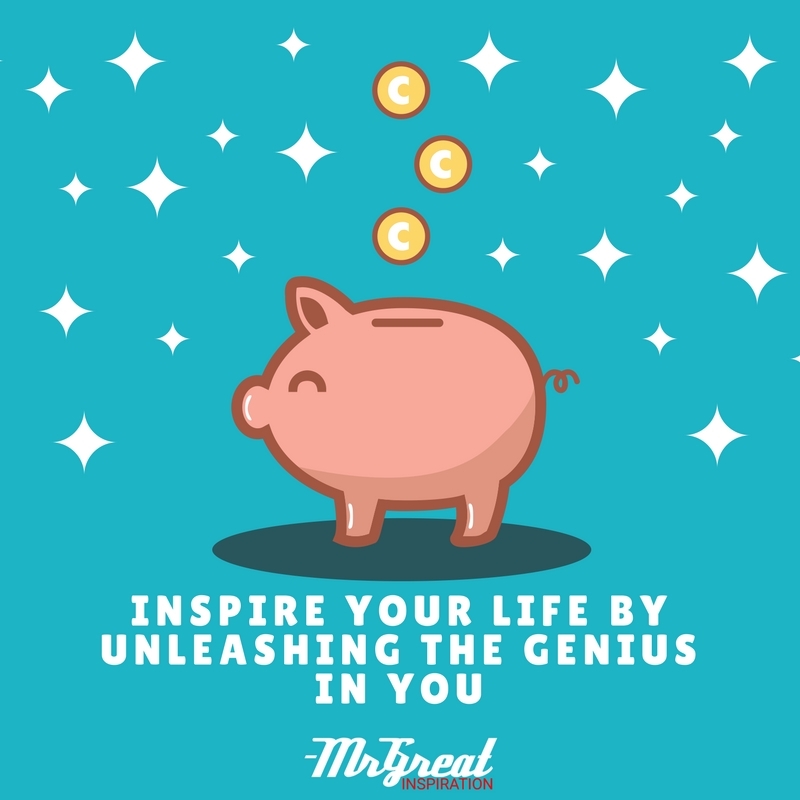 We hope guys you find our article "Inspire Your Life by Unleashing the Genius in You" by Mr Great Inspiration useful. If you think we have made some efforts, then don't forgot to appreciate us by sharing this inspirational article with your friends and family, And thanks for visiting.